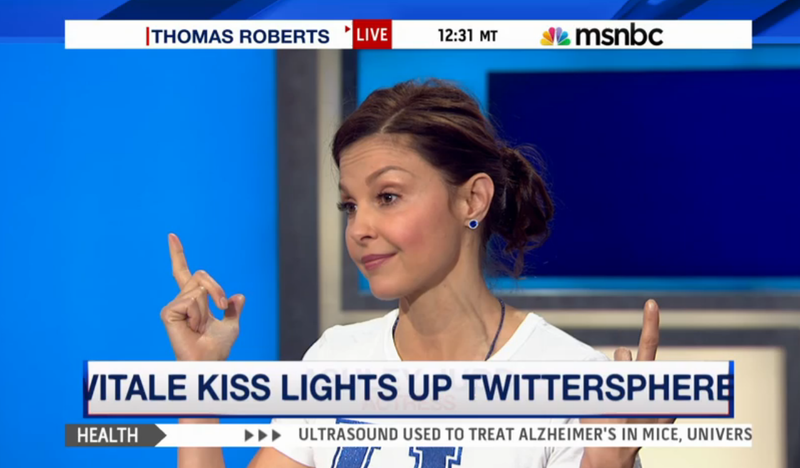 Recently Ashley Judd was harassed via some very malicious twitter trolls. The talented actress took some time to speak about this incident and her intention to press charges during an MSNBC interview with Thomas Roberts earlier this week (Monday 16 March). Curt Schilling recently made similar news in defense of his daughter who is a minor. 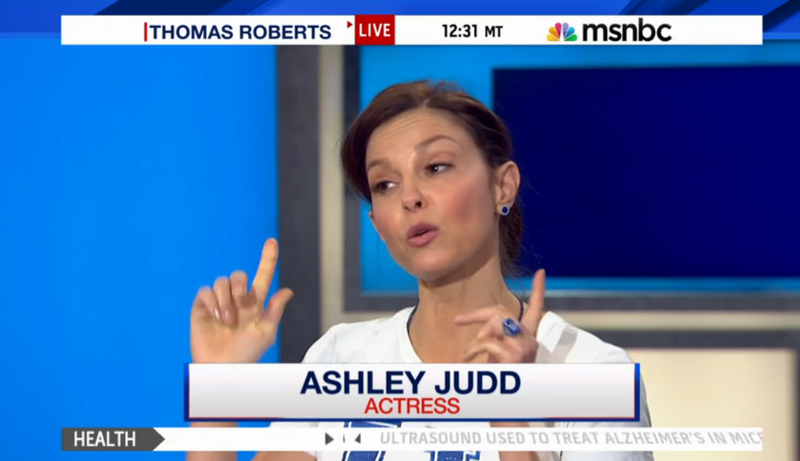 From a nonverbal communication perspective, Ms. Judd can be seen here beginning a "Double Index Finger (Forefinger) Point". 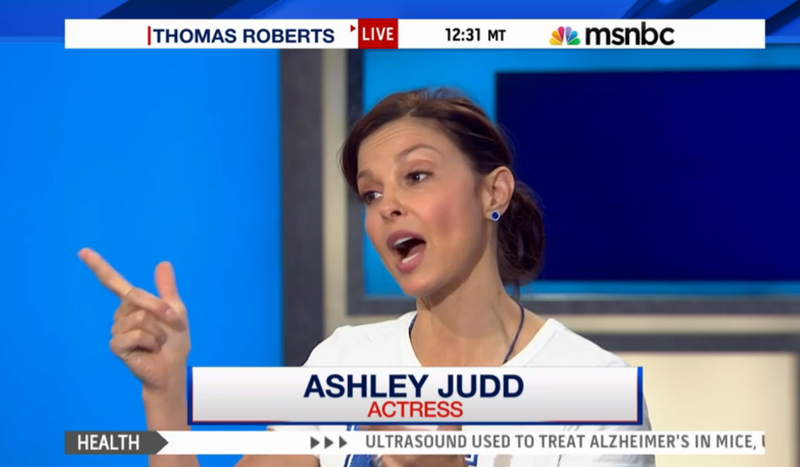 Note this begins with her pointing in the upward direct as she says, "... and by the way, I'm pressing charges ...."
For an instant, Thomas Roberts serves as a surrogate for the perpetrators of the harassment - as Ms. Judd points in his direction (her left hand obscured by the screen labeling). The dynamics of this body language illustrator are best appreciated via the dynamics of the video. A fraction of a second later the actress ends her gesture pointed upwards - the same orientation in which this nonverbal signal was initiated. 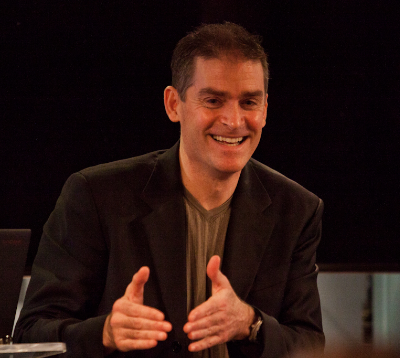 Index finger (forefinger) pointing is universally and highly offensive across all cultures. In such cases as this - the interviewer (and secondarily the TV audience) knows that they are a momentary stand-in for the accused. And yet, when despite all parties know this - to be pointed at (or to watch another being pointed at) still feels very demeaning. Most attorneys would be surprised to learn that when in trial - such pointing whether initiated subconsciously or as a deliberate tactic - very often backfires (Their ego tell tells them they are establishing authority, but in the jury's mind - this is a strong rapport destroyer). 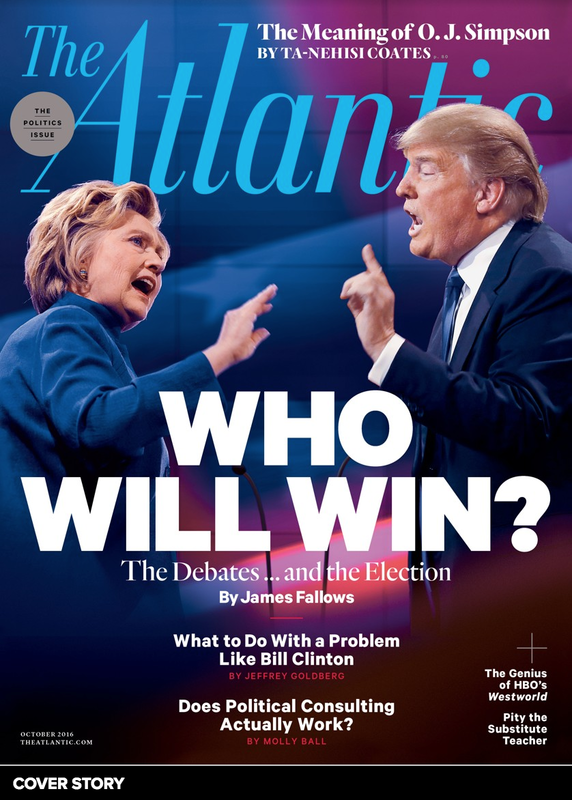 The double index finger point is an example of a "Hyper-Alpha" nonverbal which, in the vast majority of scenarios is to be highly avoided. Ashley's occasion is perhaps one exception. Most everyone feels strong disgust for such trolling and thus have a good amount of empathy for Ashley. Another important distinction here is that those who double point - or even point with a single finger - are showing us a sign that their temper is thinning. Ashley is NOT acting in this moment. By both beginning and ending pointing upwards - as Ms. Judd displays here - the intensity of the pointing is somewhat softened - and yet it is still quite caustic. So always remember - when in doubt, never, ever point.